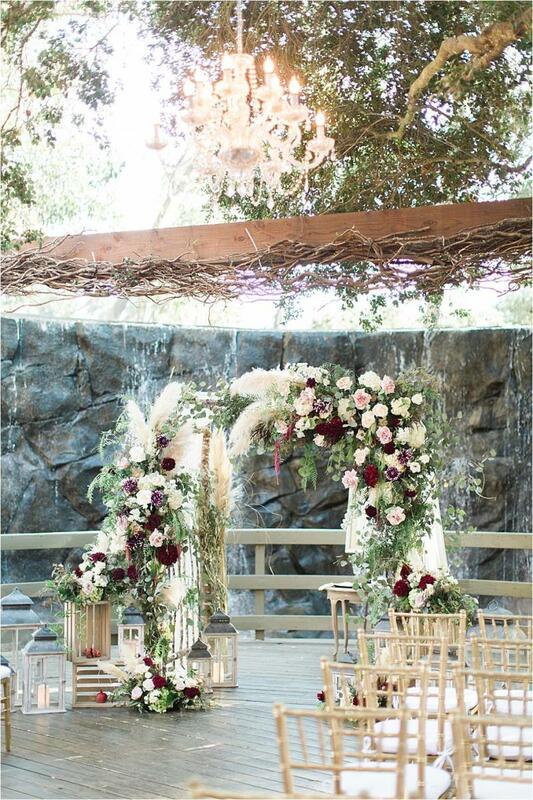 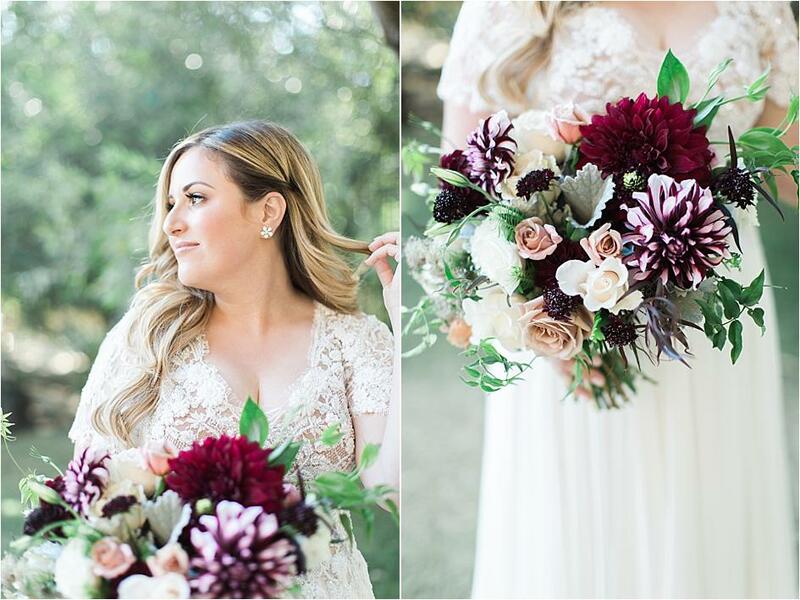 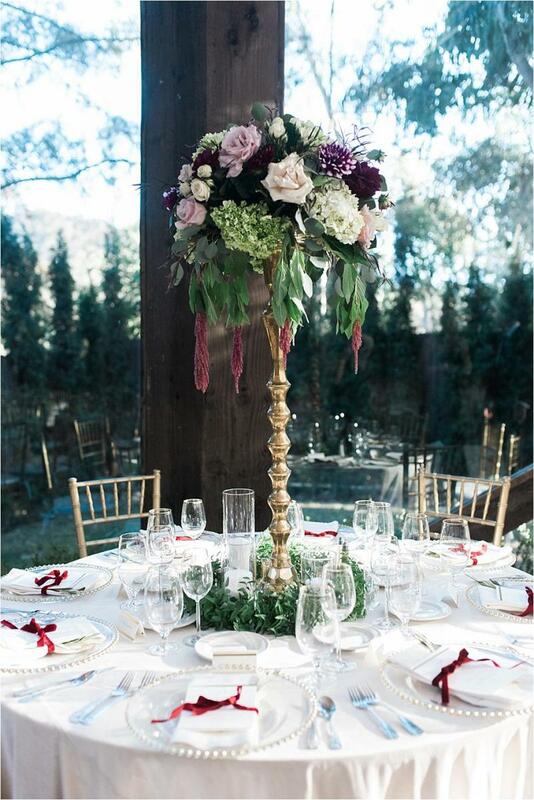 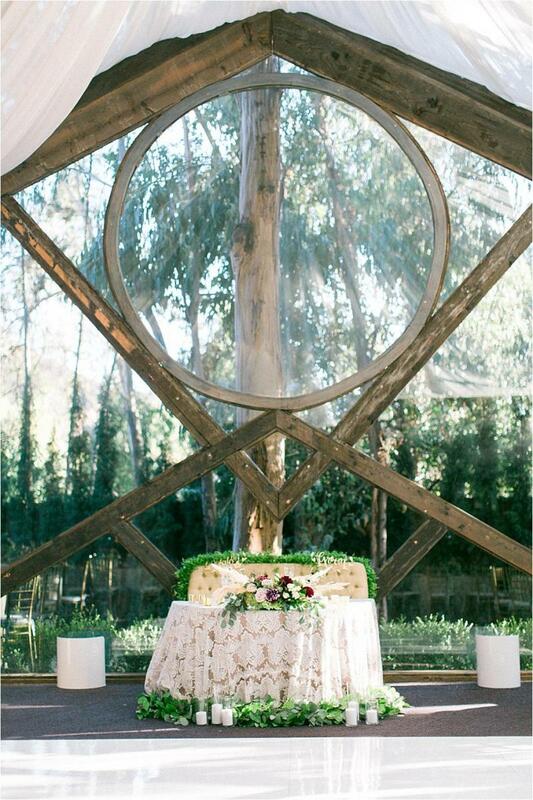 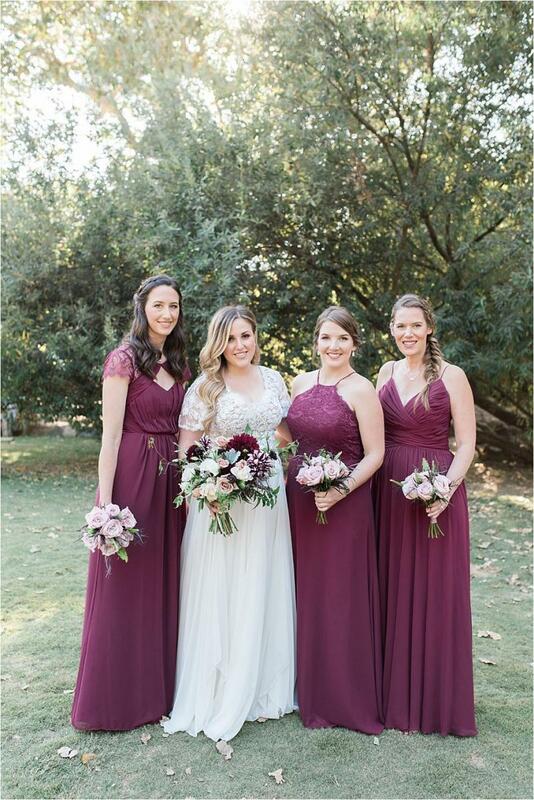 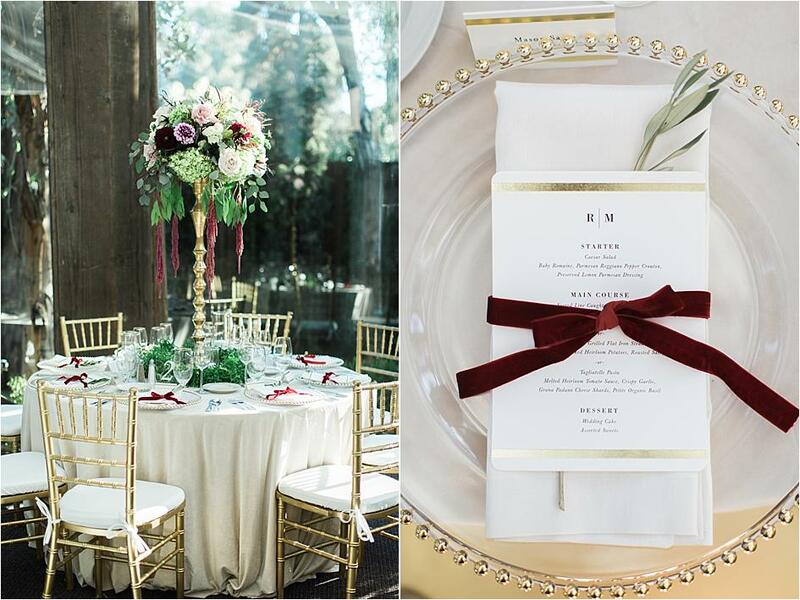 Beautiful burgundy hues and pops of gold set the scene for Rebecca and Matt's dreamy wedding day at Calamigos Ranch in Malibu, California. 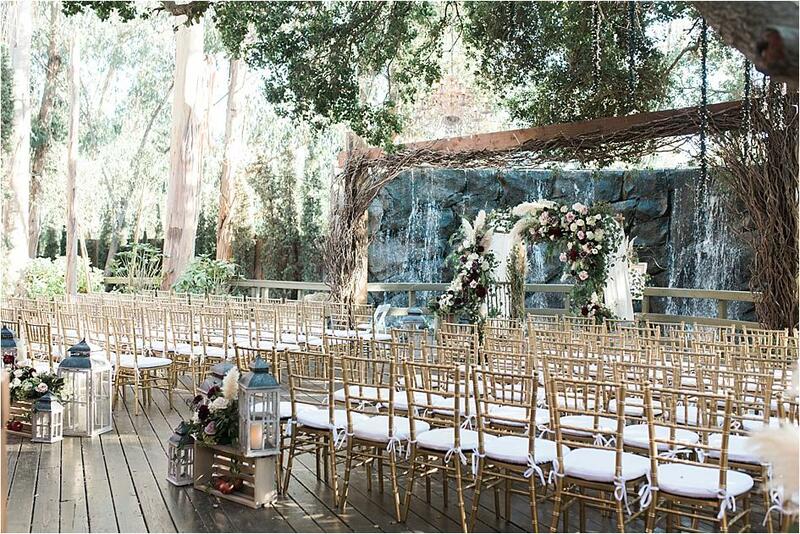 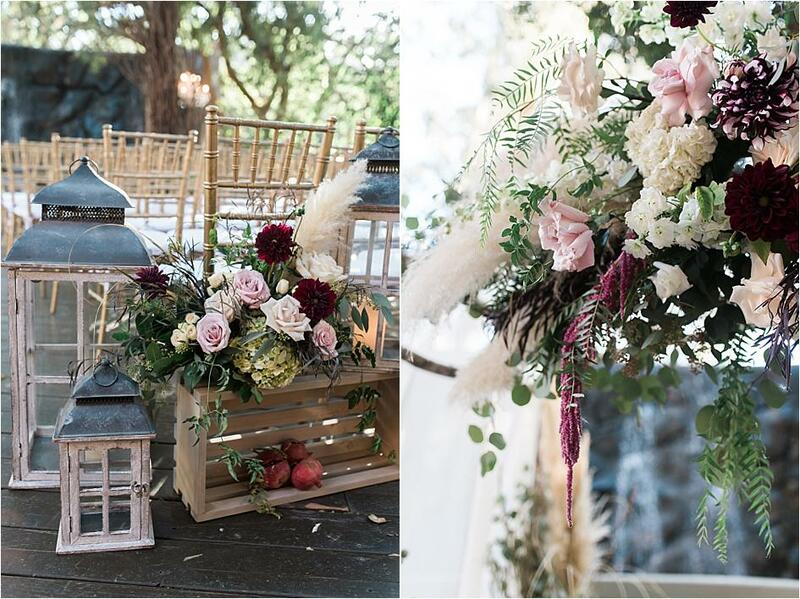 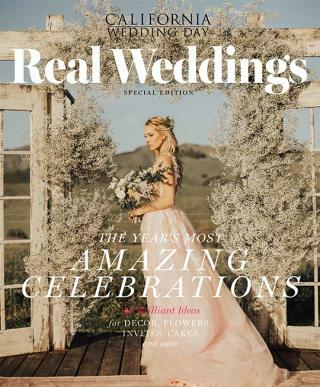 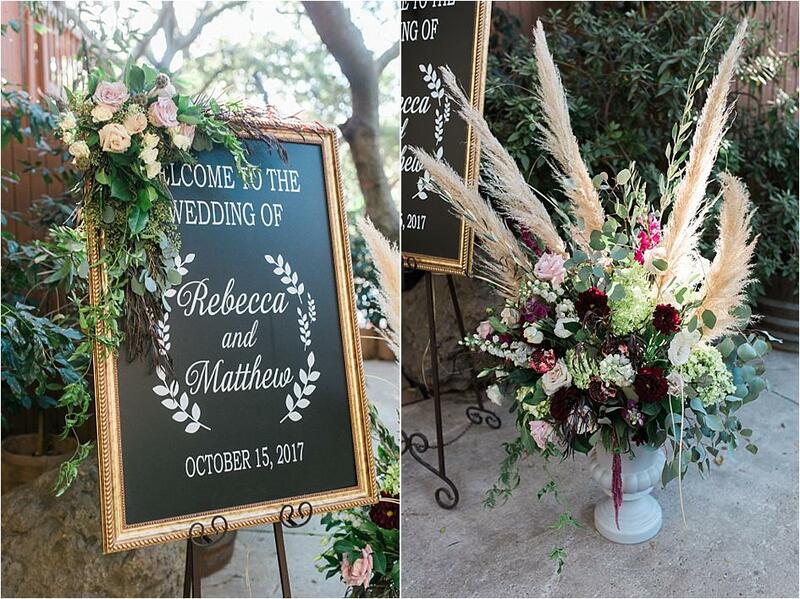 The day was an incredible display of romantic textured florals by The English Garden and love between the couple, who were wed beneath a beautiful chuppah adorned in pampas grass and greenery and accented with lanterns and rustic wooden crates. 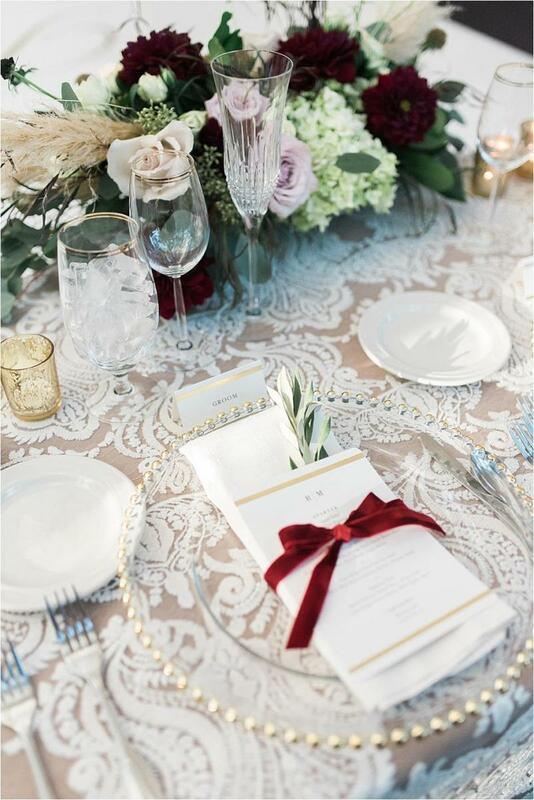 Guests made their way to the reception, where towering golden floral centerpieces and sophisticated place settings sat atop lovely lace linens. 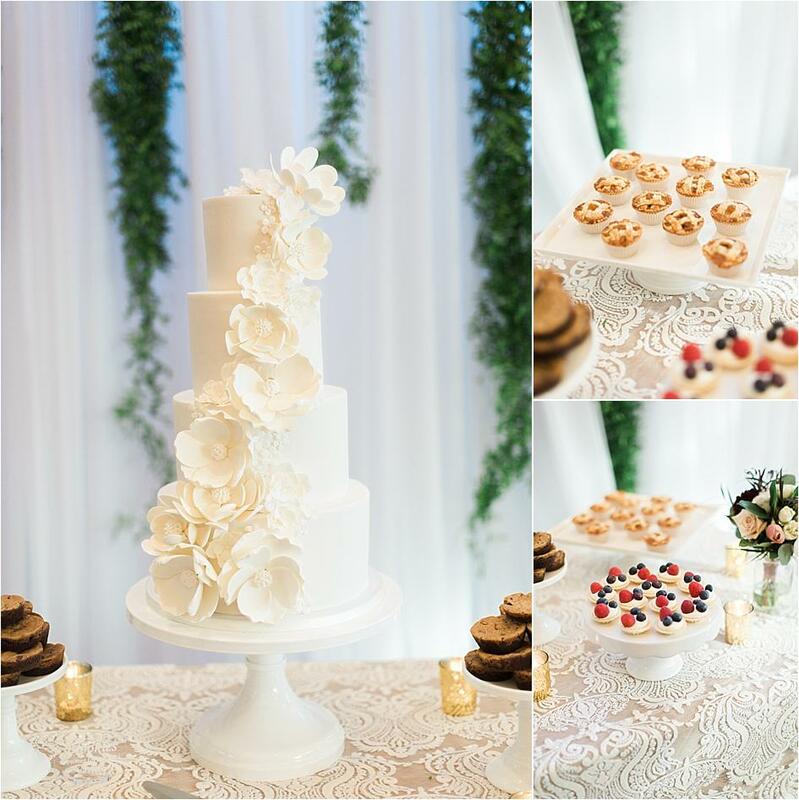 Frost It Cakery crafted an incredible four-tiered white wedding cake donned in amazing florals, the perfect way to close out the night. 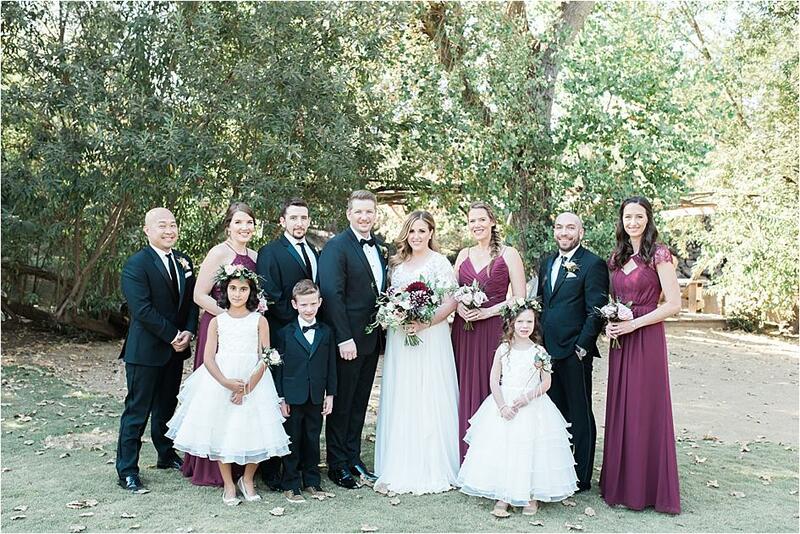 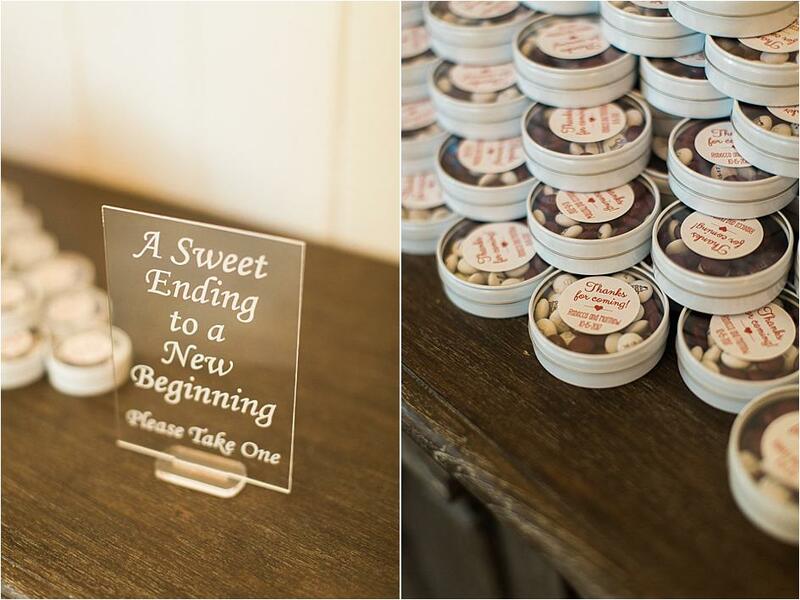 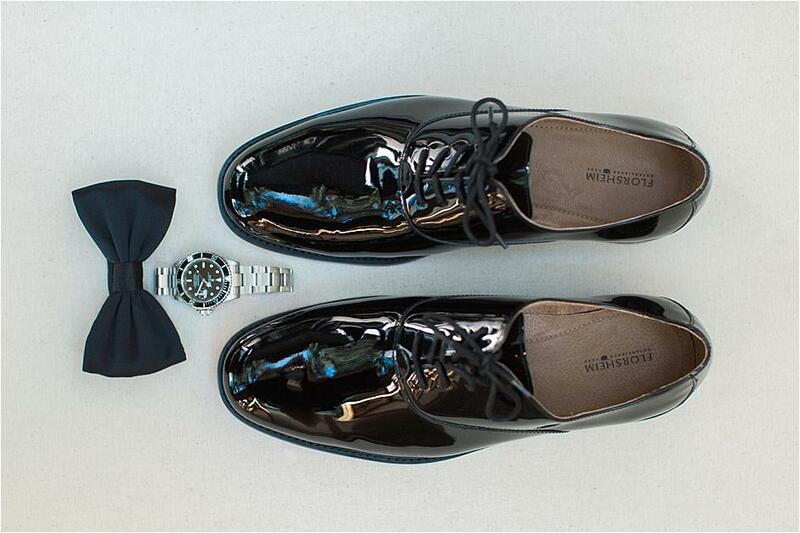 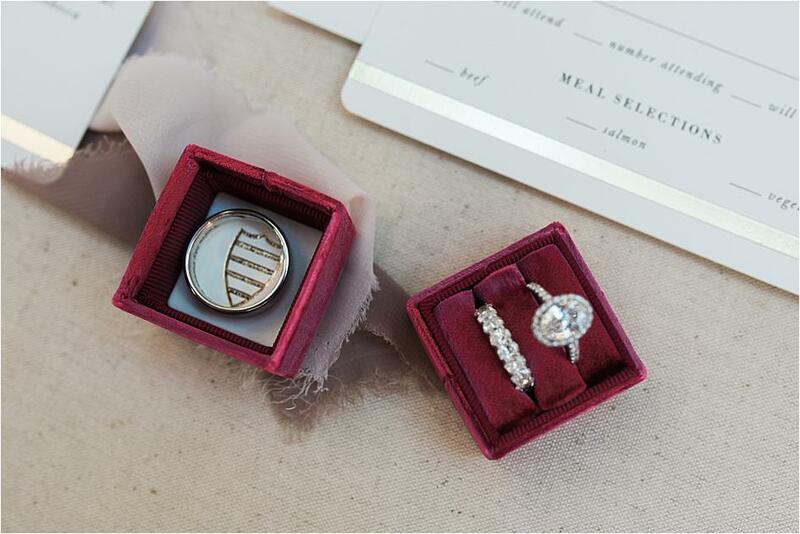 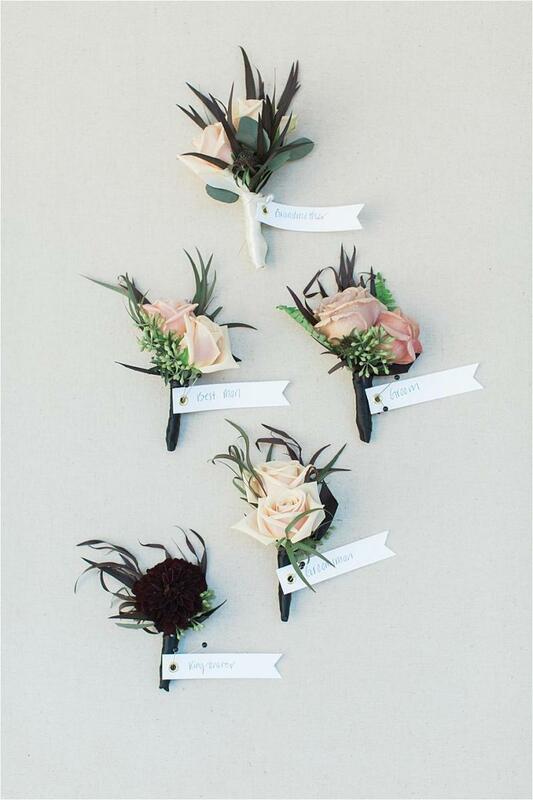 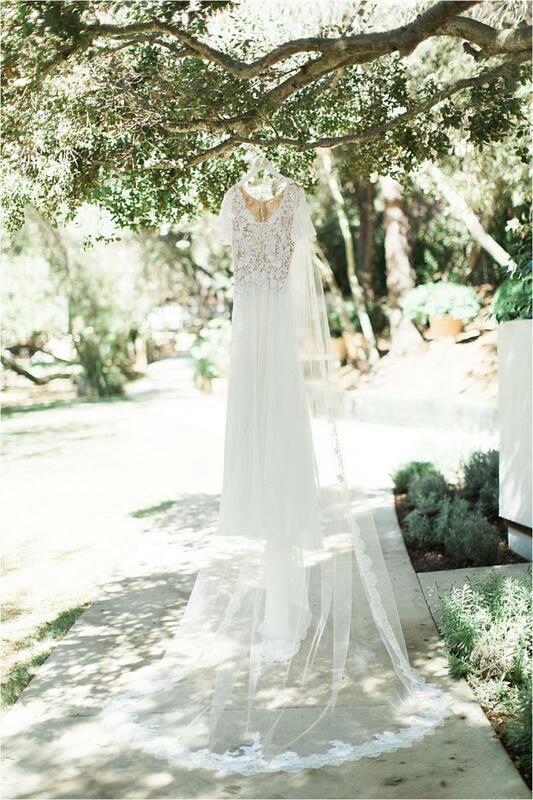 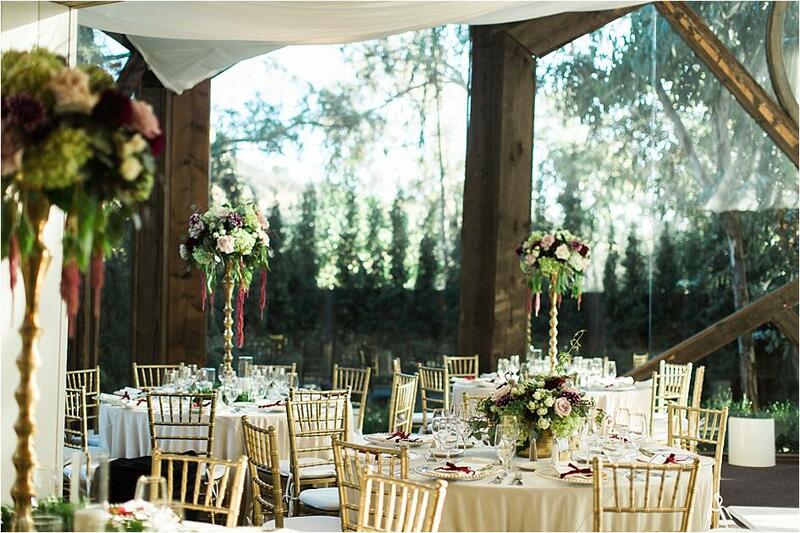 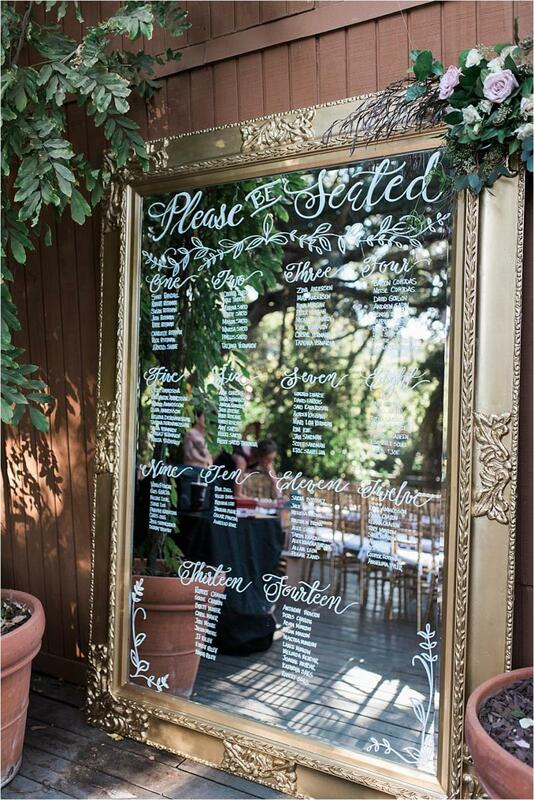 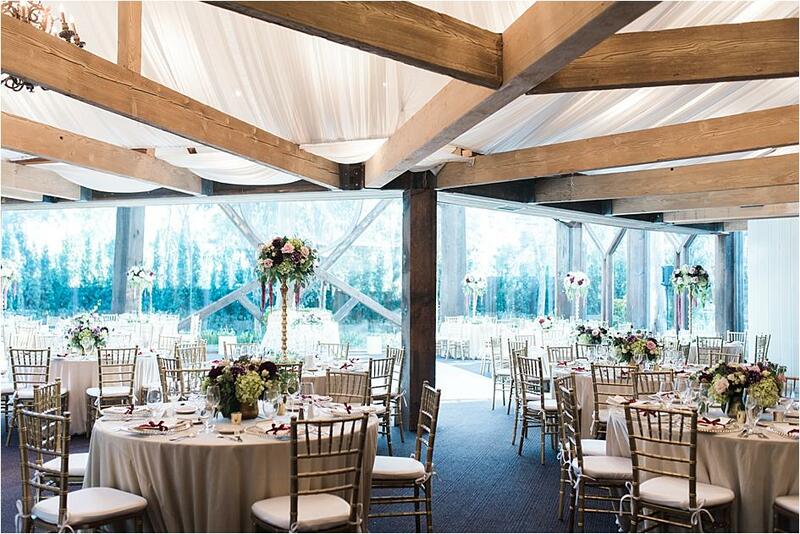 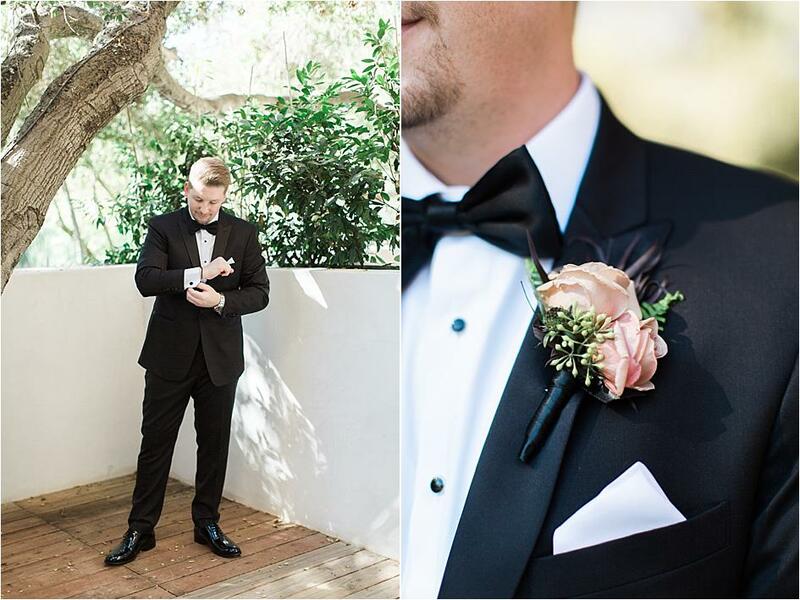 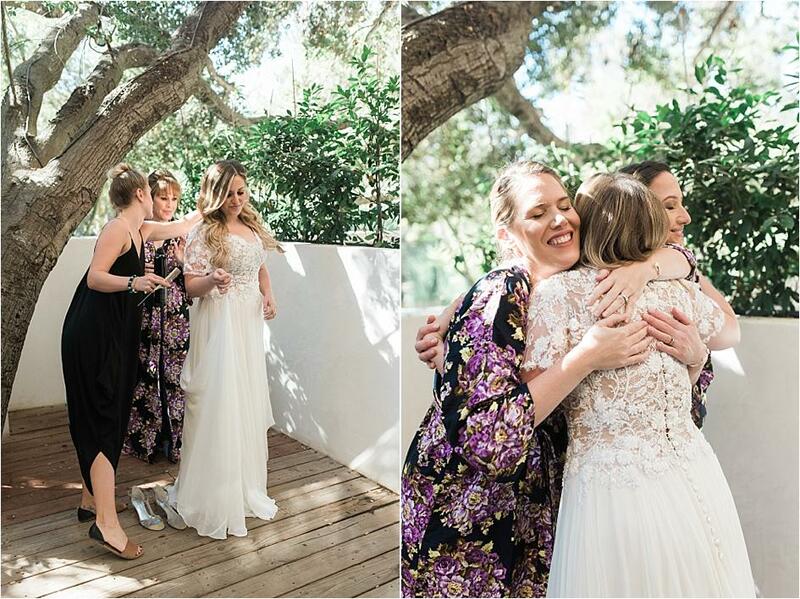 "This wedding was incredibly beautiful, from the vintage design to the romantic feel. 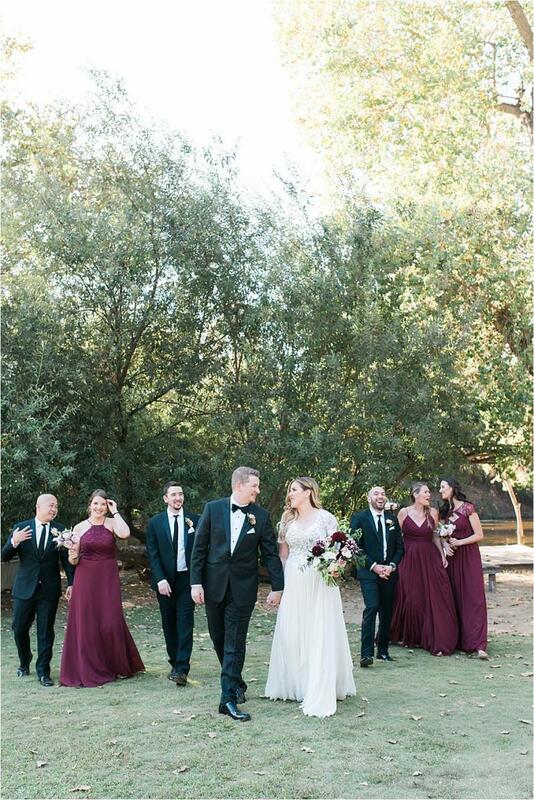 Her dress was custom made by the designer, creating something completely unique. 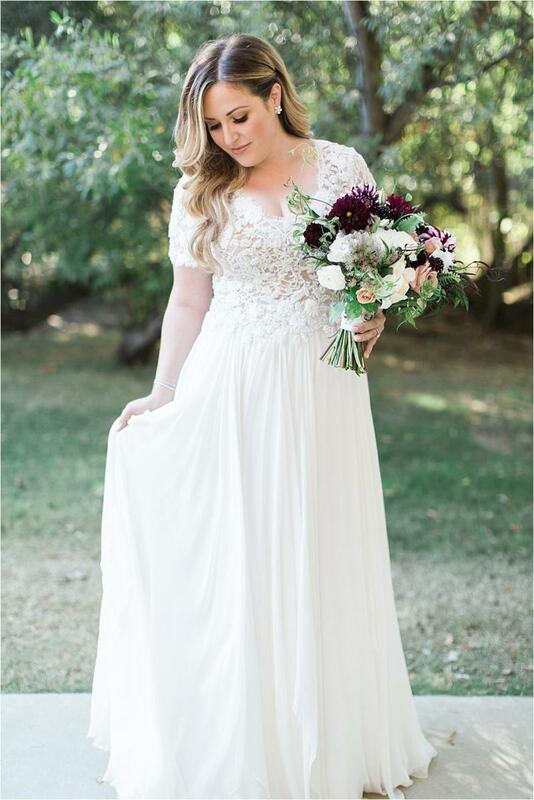 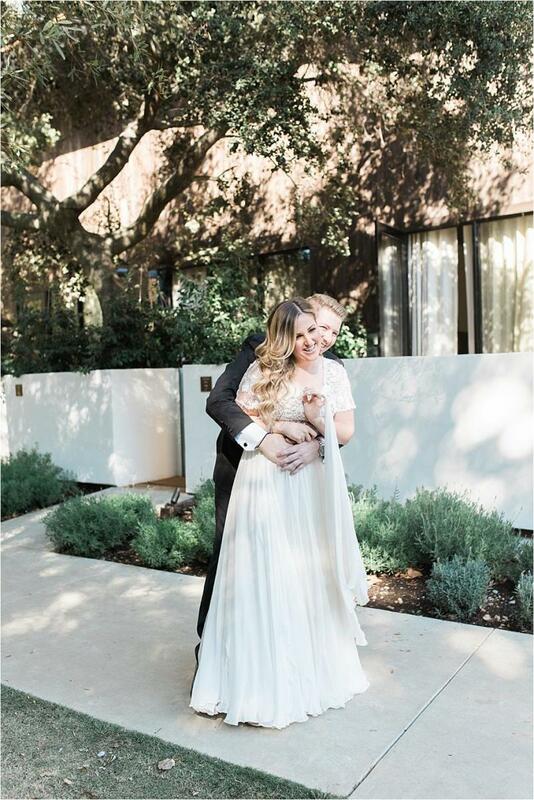 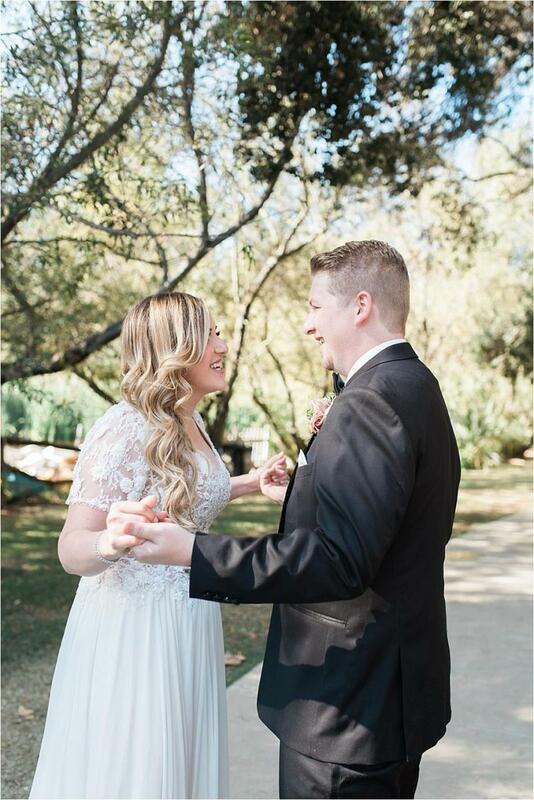 This feeling of uniqueness was only intensified after the hair and makeup artists did an amazing job, but nothing made the dress look as good as when Rebecca saw Matt for the first time. 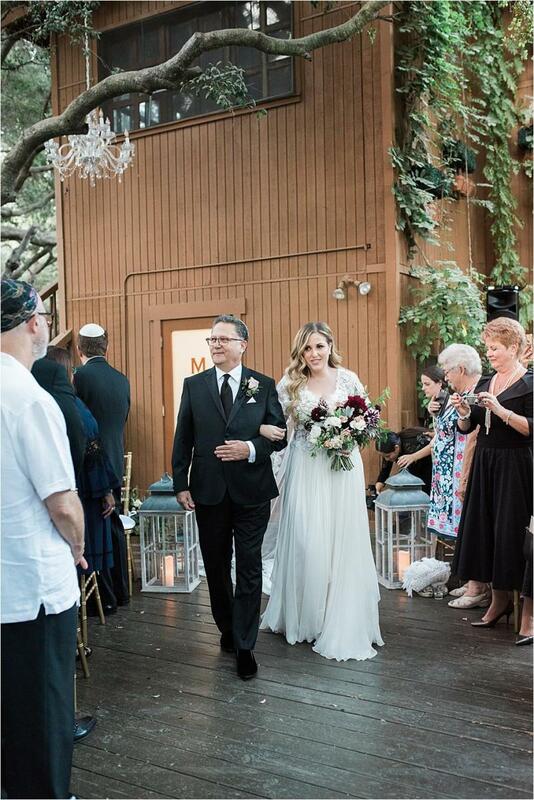 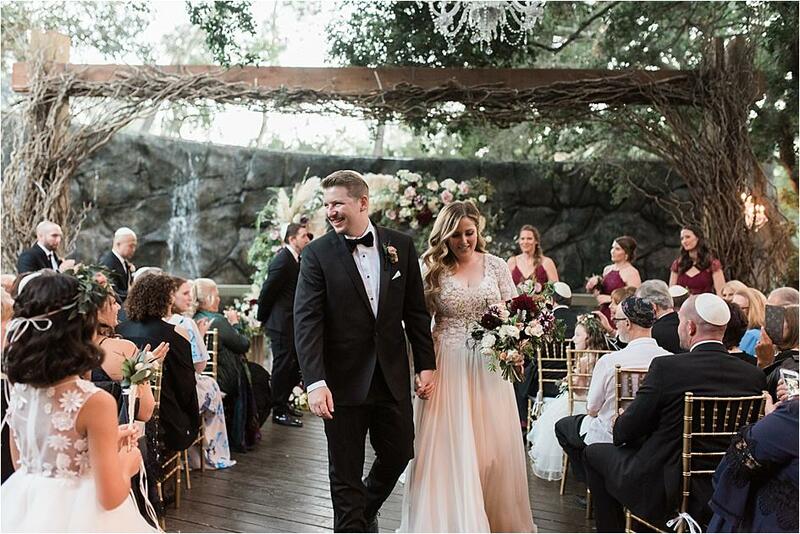 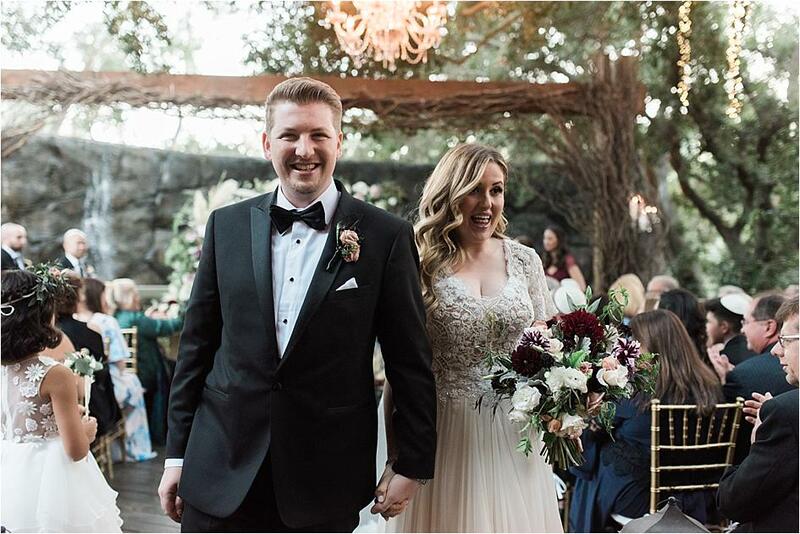 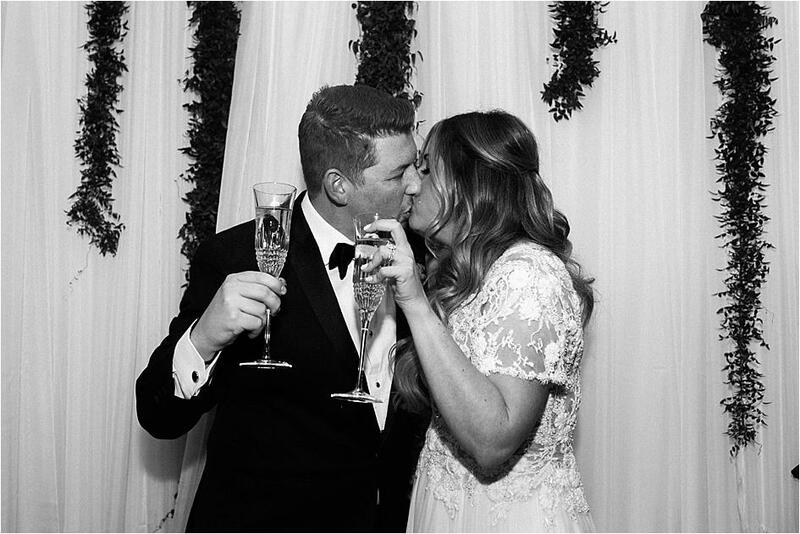 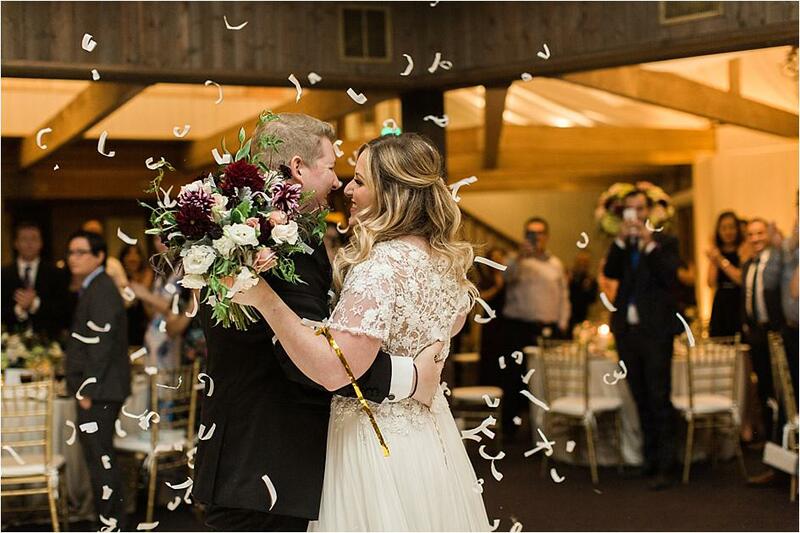 Their happiness radiated throughout the night, which only made the beautiful spaces better, with help from pops of Marsala and pampas grass in the gorgeous flowers! 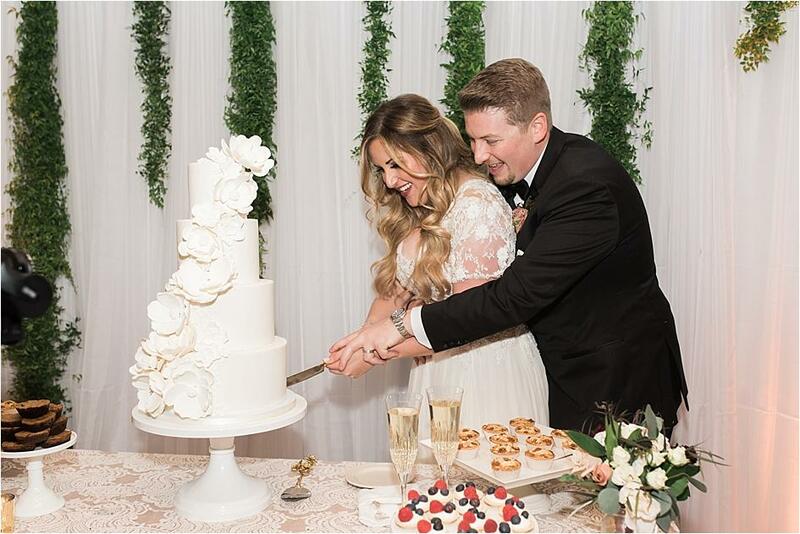 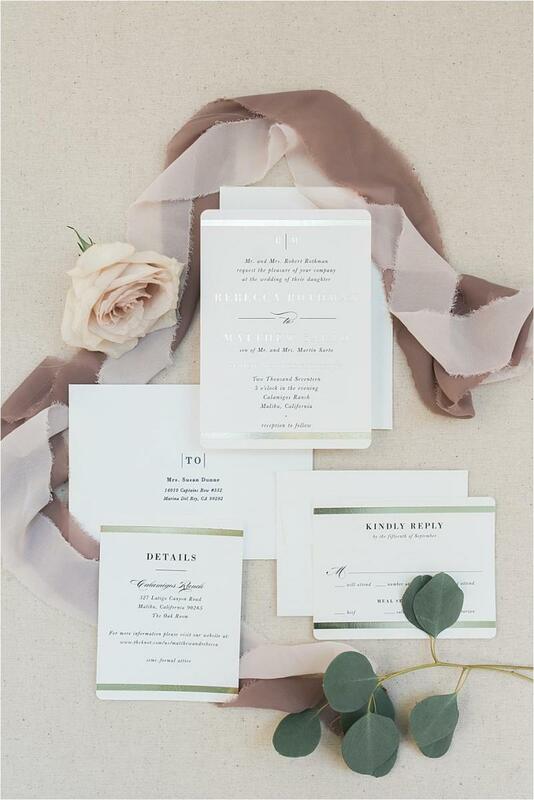 With a combination of romance provided by La Tavola and vintage rentals provided by Archive Rentals, these two themes were evident throughout the wedding. 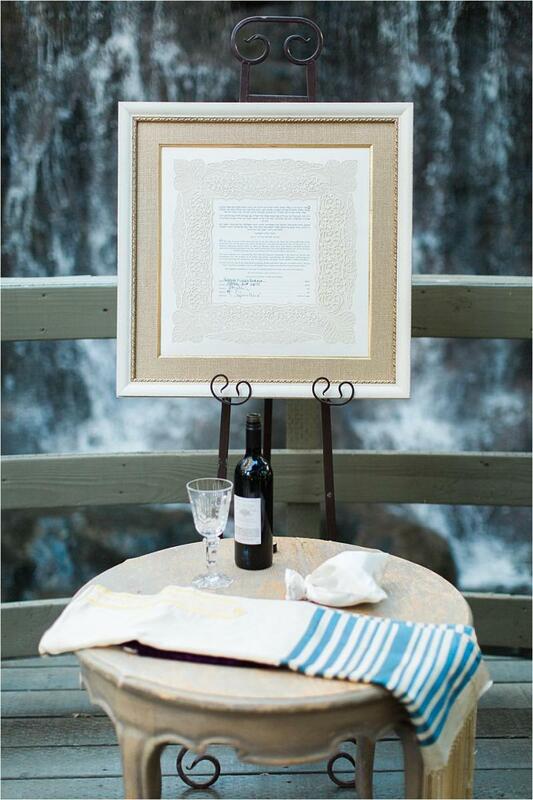 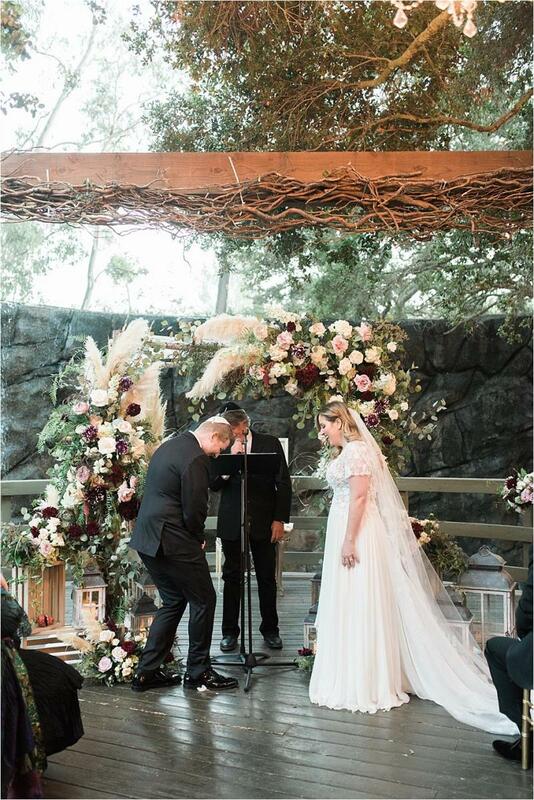 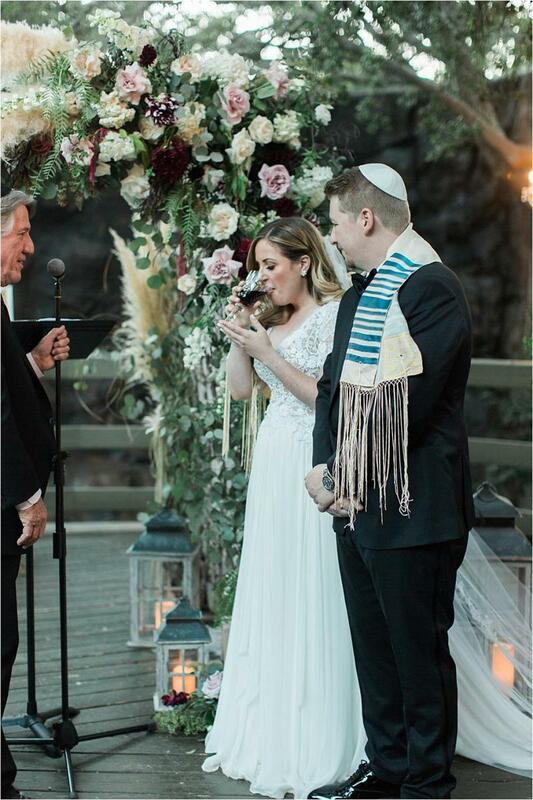 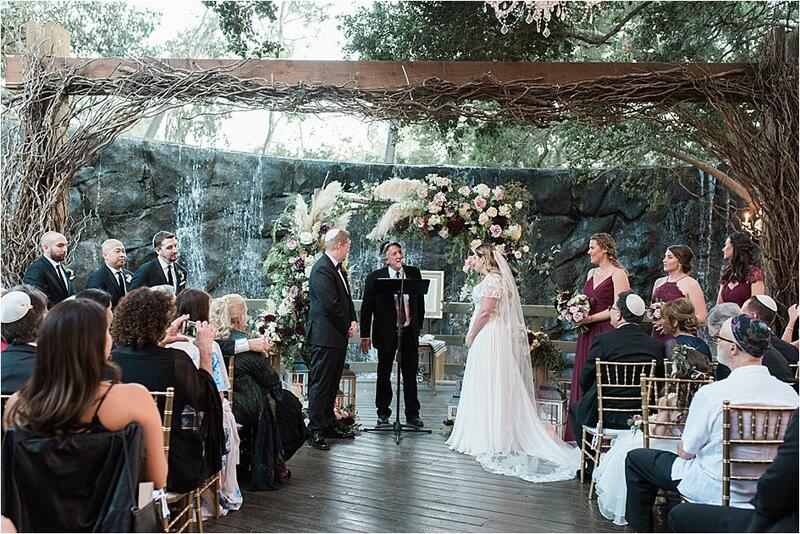 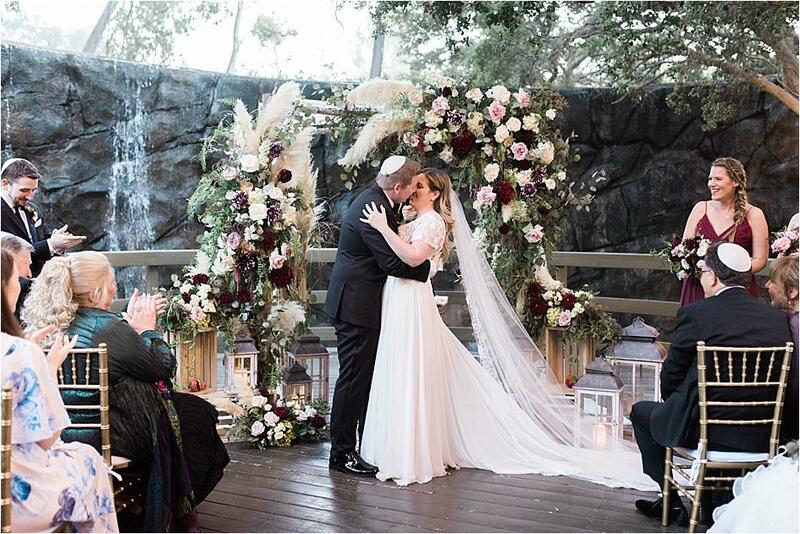 Adding to the uniqueness, a main focus of their chuppah. 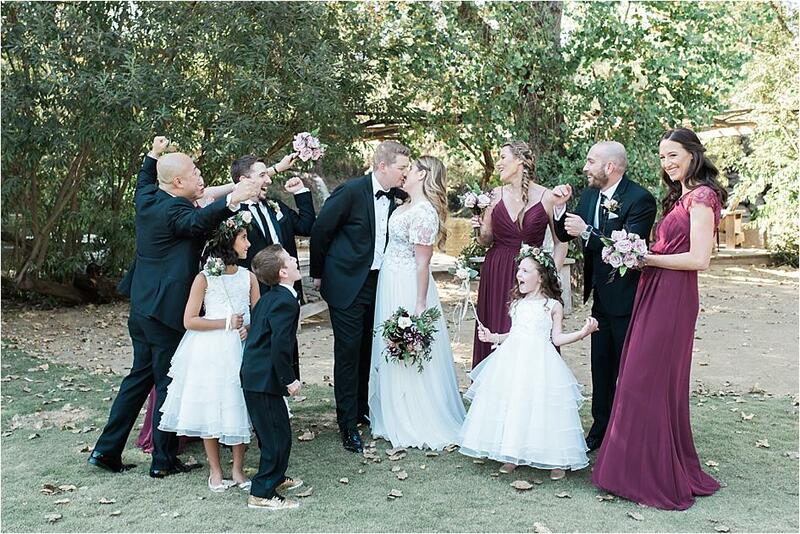 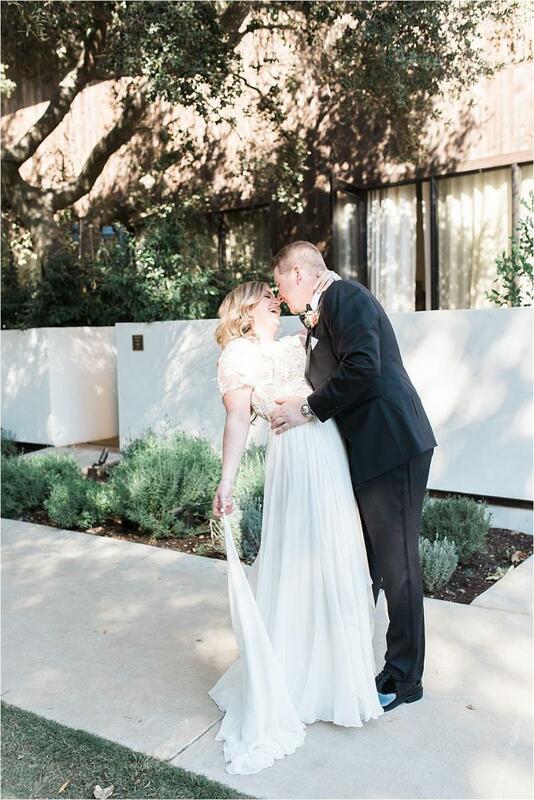 The wedding was as happy and beautiful as the couple!"